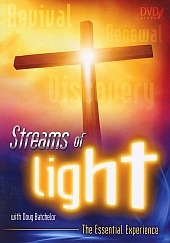 Presented by Pastor Doug Batchelor, Streams of Light is a revival series that will help you rediscover the victorious Christian life that God need you to have today – especially as last-day events are hurling us ever closer to the return of Jesus Christ! Are you prepared to meet him? This powerhouse five part series, broadcast in front of sold-out crowds in Birmingham, England, will … Show you how to have a better prayer and Bible study life Give you practical tips of overcoming temptation Teach you the most effective ways to reach others for Christ Help you revitalize and renew your day-to-day faith experience with Jesus!